HOW DO YOU STRETCH YOUR STYLE? We created a high adrenaline video and a subsequent campaign extension for Westside’s sub-brand NUON, which featured three artists doing what they do the best with a little help from their flexible, highly stretchable Nuoflexx denims. The brief was to market Nuon’s latest stretch offering – Nuoflexx denims to the ones who would be wearing them and tearing them the most – the youth. 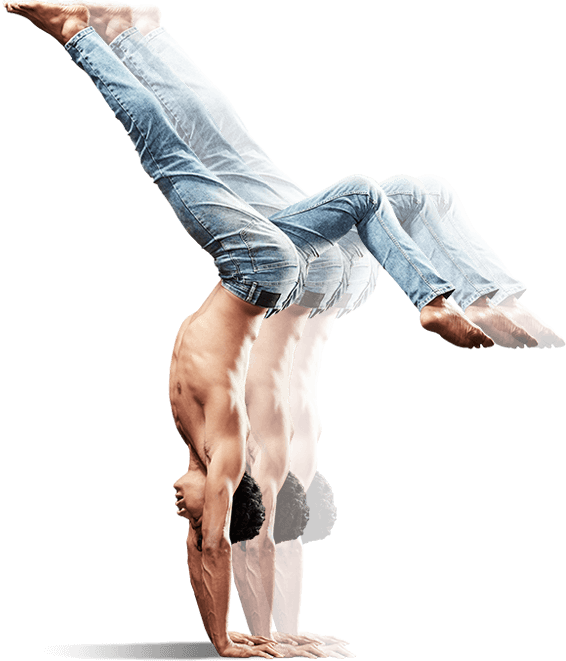 The denims were crafted to take any kind of strenuous workout and would let you be as flexible as you needed to be. Denim sweatpants, anyone? AND HOW DID WE DO IT? We created a video featuring athletes and dancers who arethrough their individual work out routines in Nuon NuoFlexx jeans – without being limited. The visuals were stylised and set to a slam poem. It focused on individualism, while emphasizing the limitless bounds of one’s personality,capability and skillset. We wanted to establish the fact that their denims would not stop you from doing anything– jumping, flying, flipping, grooving, dancing– in fact, they were created for movement. We also wanted to bring out the voice, the freedom, the pace, and the culture of the contemporary generation of rebels, misfits, go-getters, storytellers and performers. The campaign was divided into three major phases. AND BOY, DID WE STRETCH IT! Email marketing (if applicable): With your permission, we may send you emails about our services and other updates. However, certain third-party service providers, such as payment gateways and other payment transaction processors, have their own privacy policies in respect to the information we are required to provide to them for your purchaserelated transactions. In particular, remember that certain providers may be located in or have facilities that are located a different jurisdiction than either you or us. So if you elect to proceed with a transaction that involves the services of a thirdparty service provider, then your information may become subject to the laws of the jurisdiction(s) in which that service provider or its facilities are located. To return your product, you should mail your product to: 201, Simran Plaza, 4th Road, Khar West, Mumbai 400052. Any new features or tools which are added to the current store shall also be subject to the Terms of Service. You can review the most current version of the Terms of Service at any time on this page. We reserve the right to update, change or replace any part of these Terms of Service by posting updates and/or changes to our website. It is your responsibility to check this page periodically for changes.Your continued use of or access to the website following the posting of any changes constitutes acceptance of those changes. We do not guarantee, represent or warrant that your use of our service will be uninterrupted, timely, secure or errorfree. In no case shall Brandmovers Interactive India Pvt. Ltd., our directors, officers, employees, affiliates, agents, contractors, interns, suppliers, service providers or licensors be liable for any injury, loss, claim, or any direct, indirect, incidental, punitive, special, or consequential damages of any kind, including, without limitation lost profits, lost revenue, lost savings, loss of data, replacement costs, or any similar damages, whether based in contract, tort (including negligence), strict liability or otherwise, arising from your use of any of the service or any products procured using the service, or for any other claim related in any way to your use of the service or any product, including, but not limited to, any errors or omissions in any content, or any loss or damage of any kind incurred as a result of the use of the service or any content (or product) posted, transmitted, or otherwise made available via the service, even if advised of their possibility. Because some states or jurisdictions do not allow the exclusion or the limitation of liability for consequential or incidental damages, in such states or jurisdictions, our liability shall be limited to the maximum extent permitted by law. You agree to indemnify, defend and hold harmless Brandmovers Interactive India Pvt. Ltd. and our parent, subsidiaries, affiliates, partners, officers, directors, agents, contractors, licensors, service providers, subcontractors, suppliers, interns and employees, harmless from any claim or demand, including reasonable attorneys’ fees, made by any third-party due to or arising out of your breach of these Terms of Service or the documents they incorporate by reference, or your violation of any law or the rights of a third-party. Questions about the Terms of Service should be sent to us at info@brandmovers.in.